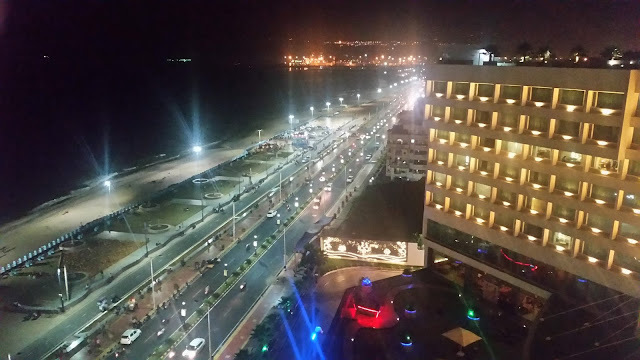 During the last few weeks, there were quite a few Italian food promotions in Hyderabad. The launch of the Italian Sunday brunch at Tre Forni was followed by the Pasta Festival at the Park, and then Tuscany showcased their new menu. 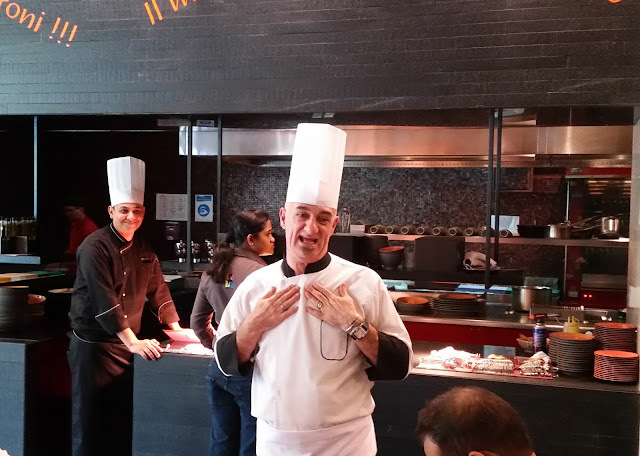 It is now the turn of Hyderabad hosting Chef Roberto Boggio, the Italian culinary ambassador from Le Meridian Pune. Chef Boggio is curating a festival of authentic Italian cuisine at Prego, the Italian restaurant at The Westin Hyderabad. As the poster for the promotion says, it is “Italian, by an Italian, at the Italian”. 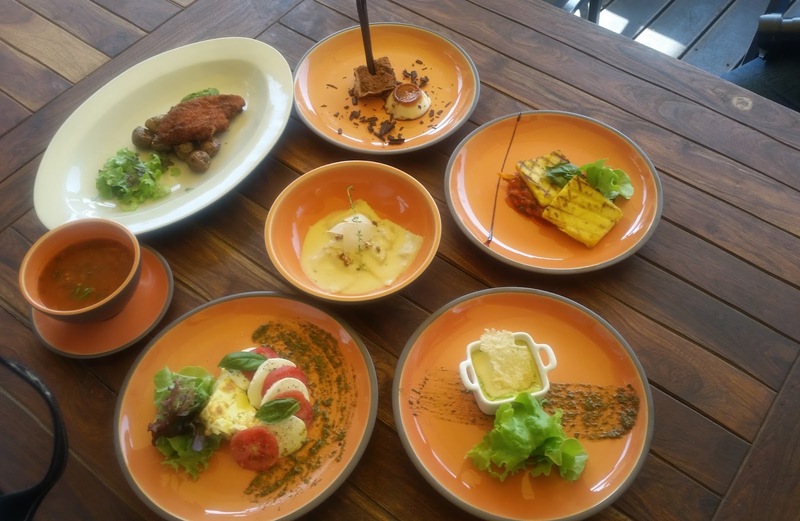 The festival spans over ten days till 29th October and presents some of the hidden gems of Italian cuisine. Chef had put together a special handcrafted menu for the preview, and at the start of the lunch, he explained each and every dish that he was presenting. The focus was on authenticity and eating a hearty Italian meal as the Italians do. We started with Asparagus Pudding and Taleggio Cheese Sauce (Tartara Di Asparagi, Con Salsa Di Taleggio). Taleggio is a soft cheese which has its own distinct rich taste, and the cheese topped pudding worked wonders. This was followed by Minestrone Ala Genovese (vegetable soup with pesto sauce). 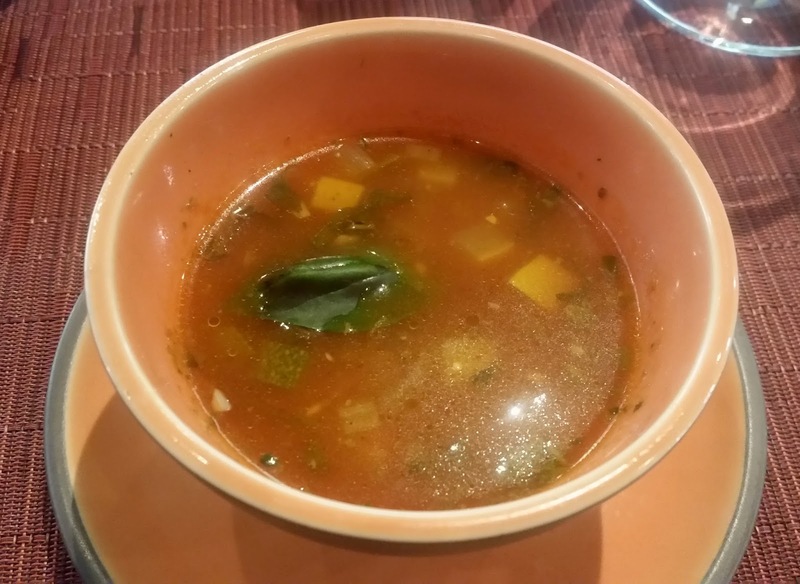 Genoa in Liguria is known for pesto, so even the minestrone there has a basil based sauce in it. In a typical Italian meal, soup and antipasti are followed by the pizza and pasta. The Chef presented a Double Wafer Marinara Pizza. Essentially a richly topped seafood pizza it had prawns, squids, crab as well as tuna in layers of pesto and tomato sauce. A couple of slices I tried out were simply brilliant. The pizza was followed by some really cheesy pasta. Sundried Pomodoro Ravioli (Ravioli with sundried tomato) was a cheesy vegetarian preparation with four cheese sauce. The second pasta, Agnolotti Alla Monferrina had a novel presentation. 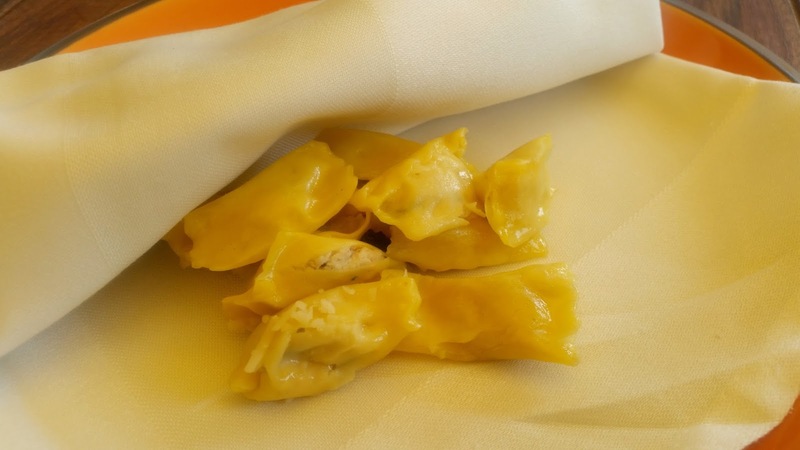 Chef explained that he is himself from Piedmont region of Italy and thus this pasta is very close to his heart. The pasta is served covered with a napkin, as the pasta becomes dry very quickly if it is exposed to the ambient air. The napkin is opened to pick up the pasta and closed rapidly after that to prevent the other moist pieces from exposure. On to the main course, and again we had two choices here, Polento Con Peperonata (Polenta in a bell pepper ragu). 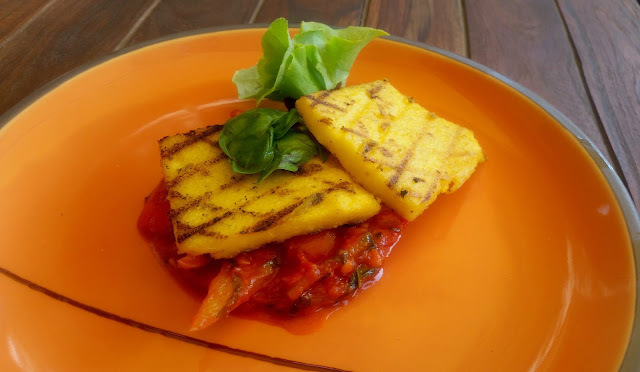 The dish had a colourful presentation with the bell peppers sandwiched between two polenta cubes. I am not a polenta lover, but with the sauce, it tasted pretty good. 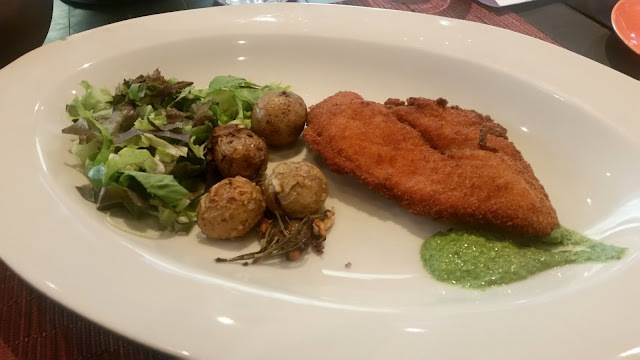 The non-vegetarian main course was La Cotoletta Impanata or crumb fried chicken cutlets served with baby potatoes and a green sauce. The cutlet had some nice juicy chicken in it, and I liked the combination with potato. The meal ended with a Dessert Sampler, which had Tiramisu and Panna Cotta. 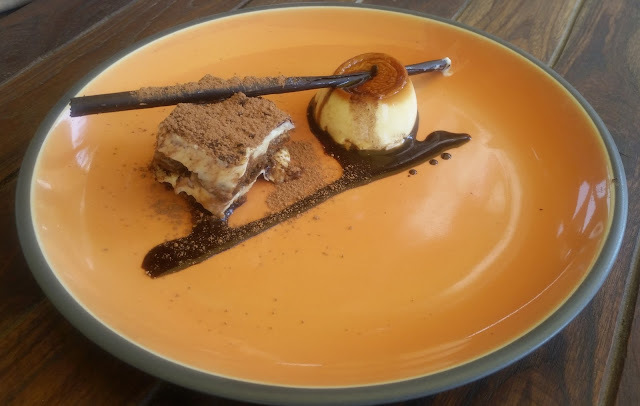 Prego has made a name for itself for its Tiramisu preparation and today's was no exception. 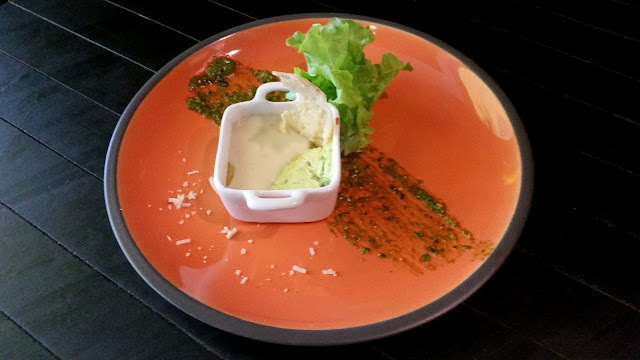 The Panna Cotta was par for the course. During the presentation and in casual conversation with the affable Chef Baggio, his love for Italian cuisine was very obvious. He categorically stated that his work is his life. His passion was clearly evident in the scrumptious dishes presented during the Chef’s Table. The promotion is on till 29th October at Prego, at The Westin Hyderabad.